Pateros, officially the Municipality of Pateros (Filipino: Bayan ng Pateros), is a first-class municipality in Metro Manila, Philippines. According to the 2015 census, it has a population of 63,840. This small town is famous for its duck-raising industry and especially for producing balut, a Filipino delicacy that is boiled duck egg. Pateros is also known for the production of red salty eggs and “inutak“, a local rice cake. Moreover, the town is known for manufacturing of “alfombra“, a locally-made footwear with a carpet-like fabric on its top surface. 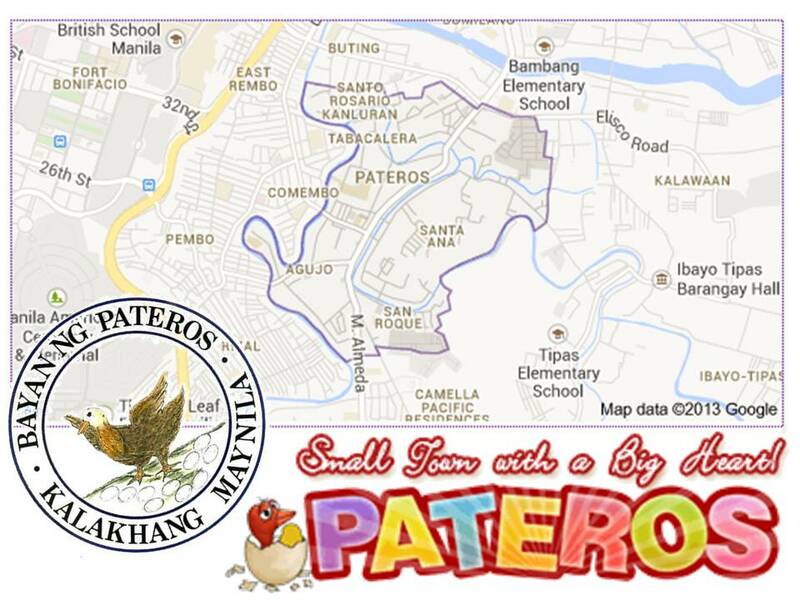 Pateros is bordered by Pasig City to the north, Makati City to the west, and Taguig City to the south. Pateros is the only municipality and the smallest, both in population and in land area, in Metro Manila, but it is the second most densely populated at around 29 thousand people per square kilometer after Manila. It is the smallest municipality in terms of land area in the Philippines.